My beloved Liz Earle Skin Tonic had reached it's end and I was too lazy to walk to my nearest Boots that stocks it. Instead I picked up L'Oreal's Age Perfect Refreshening Toner to keep me going until Liz and I could be reunited. It pains me to say that the Age Perfect Smoothing Toner has been designed for mature skin and it wasn't why I chose this but I guess it can't hurt? I was more drawn to the anti-fatigue properties (Vitamin C hello) as I'm not known for the best sleeping habits and anything that can help with waking me up in the morning I'm all for. If you're interested in this product give it a sniff first as I like the somewhere between fruity and masculine and I'm sure there are some that will be offended by it. I said in May's Empties post here that I was thinking fondly of VO5 Amplifying Blow Dry Lotion so we knew it wouldn't be long until it made it's way back in my life. I use this blow dry lotion daily and find that it doesn't weigh my hair down and helps give me the lift I like from my hair whilst protecting it from heat damage. 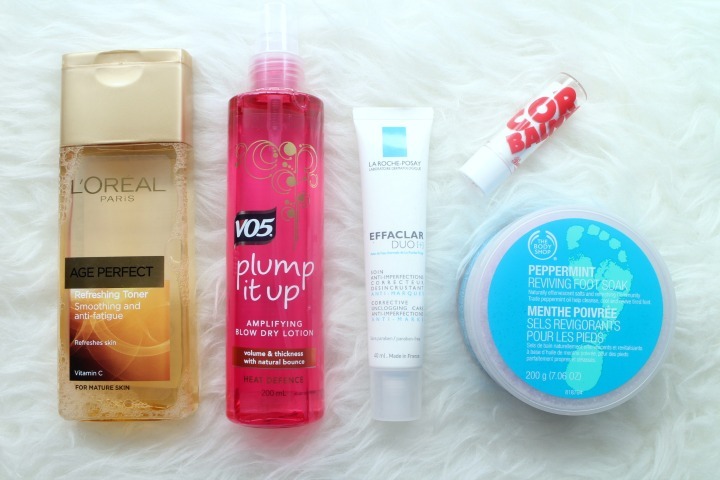 Another repurchase that I have reviewed fully here. I've managed to cut my use of this wonder product to once a day but it's not one I feel I can do without in my routine. Another couple of months on and I'm still remaining blemish free and I put it all down to this little tube. 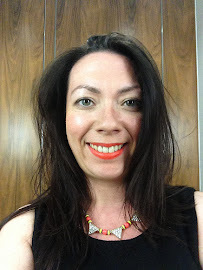 Following my skin analysis from MyChelle and another similar skin assessment at a La Roche Posay event last month it was commented on how hydrated my lips were due to regular use of lip balms so I had to give the latest release from Barry M a try. Wow these pack a punch. I chose Jam Jar as we all know I like a red lip and I thought this would be handy on my desk at work as an easier reapplication of colour when I haven't got time that the lipstick would require. I think I'm going to like this creamy little beauty. So there you have my recent purchases, nothing to extravagant to speak of and all very necessary don't you agree. What have you treated yourself to lately? Oooh, I'm going to try the VO5 - thanks! And have a great weekend!